Tuesday, May 7th at 6:30 p.m. in the Golden West College Gymnasium with a reception immediately following. *Notification of the recipients will be done on the Scholarship Website by the end of April 2019 and a personal email will be sent to the Scholarship Recipients. 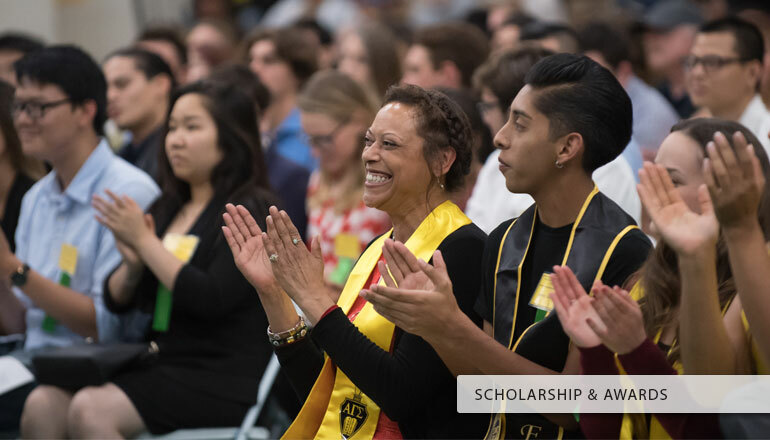 During the annual Scholarships and Awards Ceremony held at Golden West College both students and donors are recognized for their commitment to academic achievement as well as civic and educational involvement. In 2017 over 453 scholarships were awarded totaling over $500,000, a 28% increase from last year. Wes Bryan, GWC President, welcomed the packed crowd and introduced the speakers, president of the Board of Trustee’s David A. Grant and GWC Foundation Board president Michael Grant.